You will always find an intriguing line-up of hand-crafted beers, good friends and a great atmosphere at the Blackfoot River Brewing taproom. Stop by and enjoy your favorite beer or try something new- the lineup changes daily. We offer beers served in 12 oz. glasses or for those who can’t decide, try a sampler tray for a larger variety. Montana law does however, limit consumption to 48 ounces per person, per day and only until 8pm. But don’t worry, the Blackfoot also sells growlers to go! Get one free 12oz. beer while your growlers are filled. Stop by the taproom and enjoy good friends a great atmosphere and really good beer! 66 South Park Ave in historic downtown Helena. Growler Wednesdays & Sundays– 64oz. Growler fills are $1.50 off, with one free 12oz. beer while you wait! With a passion for home brewing and background in marketing Max Pigman purchased the Sleeping Giant Brewing Company back in 2001. 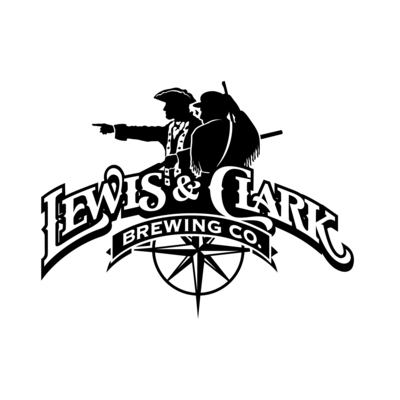 He changed the name to Lewis & Clark Brewing in 2005 and operated the brewery and tap room under the Brewhouse restaurant for about 9 years. After looking for several years for a new location to enable the business to grow he finally found the perfect spot in the old Columbia Paint factory. The building (or complex of buildings) took over 3 years to renovate (with some of the buildings dating back to 1887) but now offers almost 4X the space for brewing operations and a unique retail space for customers to enjoy 12 beers on tap in the Tap Room. Since the move the business has exploded now employing over 20 people and experienced growth of 107% last year. They look to grow another 60-80% this year and have added several tanks, more equipment and additional staff to increase capacity. Cans are a big part of their growth as they now can 5 flavors (with 2 more to be added soon) and they have recently introduced their beers to the Missoula and Bozeman markets. This growth has enabled them to spend over $100k locally in goods and services already this year and they are firm believers in supporting local Helena businesses whenever possible. Ten Mile Creek Brewery is a six barrel brewery located in the historic Last Chance Walking Mall. The brewery opened in late October of 2015. The location is snug in-between The Hawthorn Bottle Shop and Helena’s favorite chocolate store, The Parrot. Whether you are just visiting Helena or you are a local, the historic downtown will have something for you. Our namesake “Ten Mile Creek” comes from our most important ingredient, water. The creek is in the beer. The Ten Mile Creek watershed supplies most of Helena, including our brewery. Ten Mile Creek gives us clean water that we use to produce hand crafted beer. Each batch has Montana grown barley and all other ingredients are sourced as local as possible. Ten Mile Creek Brewery is a great place for meetings or parties. We rent our space to private events and are always welcoming to groups looking for a place to converse. At Ten Mile Creek Brewery we consider ourselves a somewhat organized community. Partnering with as many local businesses as possible is a key piece of our philosophy. Downtown is the culture of our city and thrives on the support of business by patrons and visitors of the area.